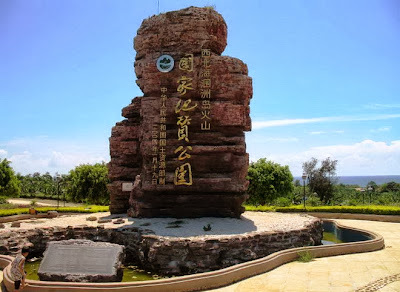 Located in the south of Beihai city (36 sea miles away from Beihai), Guangxi Zhuang Autonomous Region, Weizhou Island is China’s youngest volcanic island, also is the largest island in Guangxi Zhuang Autonomous Region. 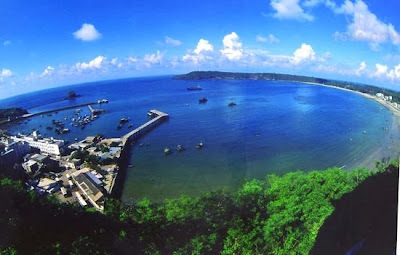 Aerial view from the sky, Weizhou Island is just like a bow-shaped emerald floating in the sea. Meanwhile, Weizhou Island is one of China’s most beautiful islands, attracting visitors from everywhrere. To watch the sunrise and sunset is the permanent theme on the islands, whether for the photographic subjects or sensory enjoyment, always temping. On the Weizhou Island, the best place to see the sunrise is the colorful beach (Wucai Beach) and Shell Beach; while the sunset in the DiShuiDanPing (water dripping red screen) and ShiLuoKou is more touching. 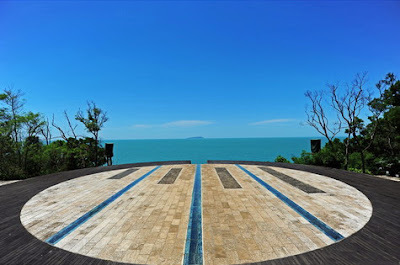 There is a Moon Bay Square in the Weizhou Crocodile Hill Park, where the vision is broad with extremely beautiful sea view, suitable for photography. There is a color Weizhoudao North Shore Ecological Leisure Road on the island, which is the most suitable riding route on the Weizhou Island. This road is the first dedicated tourism road in Guangxi region, starting from west point reservoir embankment, ending at the ShengTang Village, with a total length of approximately 8 kilometers. The road series up the main tourist attractions on the island, based with red, black and white color. The road is like a ribbon mildly throughout the rural fields, suitable for freeride and motorcyclists sightseeing. Anyone riding on this road faces the sea, and enjoys the most beautiful scenery around the island. Weizhou Island is a paradise for Seafood lovers. The Seafood on the island is fresh and cheap, even is only half the price of that in the restaurants in the Beihai City center. 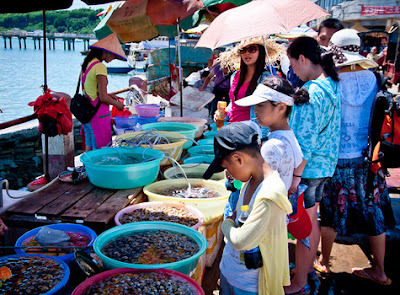 The center of Nanwan Town, there is a Nanwan Seafood Market, the gathering place for tourists to buy Seafood.